A smooth, clean, crisp Trigger, a clear upgrade over that creepy two-stage factory trigger! 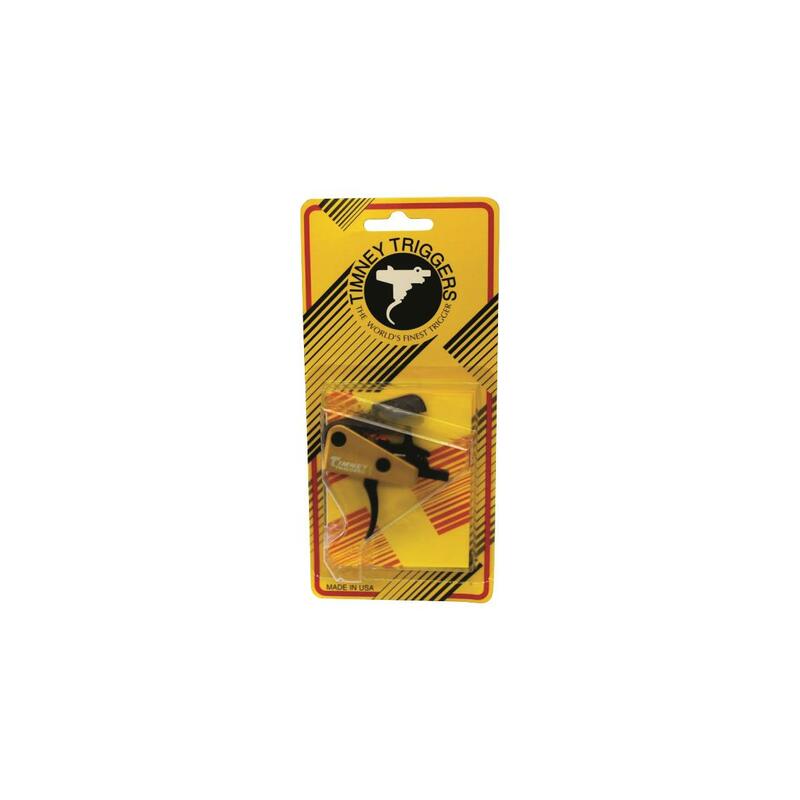 Factory-preset for a pull weight of just 3 lbs., the Timney Drop-In Trigger is smooth, clean, and breaks like glass. Easy installation is quick and easy, no adjustments necessary. A sloppy trigger can turn a good rifle into an ugly shooter. Don't let it happen to you! 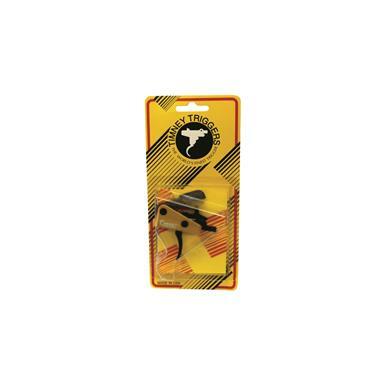 Timney AR-15 Style Drop-In Trigger is rated 5.0 out of 5 by 2. Rated 5 out of 5 by aryaneu from Trigger is amazing, but... The trigger is absolutely amazing, I actually bought two. The one that I put into my 6.8SPC with an Anderson lower was so loose that I needed to install KNS anti-rotation pins to keep them in. They were so loose that if I tilted the rifle on its side and shook it, the pins would fall out. Don't believe the add which says otherwise. I highly recommend the trigger! Rated 5 out of 5 by Shai from Best Trigger For 3-Gun Competition This trigger came installed in my Armalite M-15 Competition which I use for 3-Gun. I have been shooting AR's for 25 years and have tried all sorts of triggers. This Timney trigger is hands down the nicest, crispest, and quickest trigger I have ever used. It was a huge selling point for buying the rifle I did versus building it because I saved a lot of money but still got the parts I wanted, especially this trigger. If you like single stage triggers, you'll love this Timney.